Green Bay Packers – Official Blog | Does Rodgers see stars aligning? 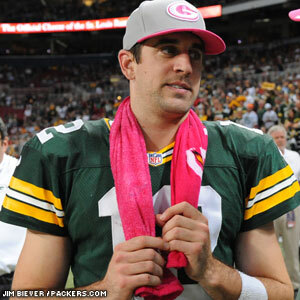 Does Rodgers see stars aligning? QB Aaron Rodgers was asked on Wednesday if he sees similarities between this season and 2010, when the Packers withstood a rash of injuries and a 3-3 start to ultimately win the Super Bowl. “This has been similar in the fact that we lost some key guys in 2010 and we lost some key guys already this year,” Rodgers said of the season-ending injuries, which were to starters Ryan Grant, Mark Tauscher, Morgan Burnett, Nick Barnett, Brad Jones and Jermichael Finley in the first five weeks of 2010. The Packers have lost Desmond Bishop and D.J. Smith for the season this year, and now Cedric Benson and Charles Woodson for extended periods. After the 3-3 start, including consecutive OT losses to Washington and Miami, the Packers won three straight to get to their bye week at 6-3. This year, the Packers actually fell to 2-3 with the loss at Indianapolis but have won two straight to get back above .500 with two more games left before the bye. The other thing Rodgers noted was what he called “a little-talked-about-fact,” that the 2010 World Series champion San Francisco Giants have returned to the Fall Classic this year. Karma in the making? “We’re pulling for the Giants to get a win and hopefully that means we’re heading down to New Orleans,” Rodgers said.